Please call Hanna Eye Care at 904-574-5500 for further instructions. Use your best judgment on urgency, if you feel your need to find the nearest emergency room. 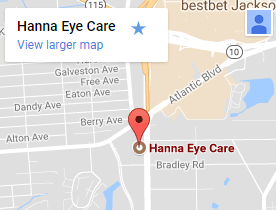 DO call our eye care center in Jacksonville, FL at 904-574-5500 for further instructions! If anything is stuck in your eye for more than a period of a couple of hours, you must immediately cease all attempts to remove it yourself. Keep in mind that the eyes are an extremely delicate organ and any attempts to try anything extra ordinary with them can only have negative and adverse results. 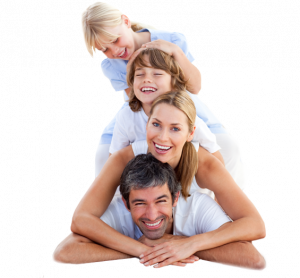 If the foreign body you are talking about is not bothering you too much, then you are advised to visit our eye doctor in Jacksonville, FL to take care of it. If not you may need to call to emergency service of your region. If the foreign body is easy to get to, it may be possible to remove it by simply rinsing your eye with water, or by wiping it away with a cotton wool bud or triangle of card. However, if this is unsuccessful, your Jacksonville eye doctor may try and remove the foreign body by lifting it out with the tip of a small metal instrument. Call our eye care clinic in Jacksonville, FL at 904-574-5500. We are here for you!